Rushing to the net following a serve, they had split seconds to adjust and return the ball. But the game of tennis evolved, with the professional era heralding firstly a change in racquets and an emphasis on baseline play that resulted in the governing bodies making a decision to homogenise court speed and reducing the duration of the grass court season. Ultimately, the loss of diversity was the cost tennis fans had to pay. Gone are the days of Pat Rafter launching himself at volleys and matches pitting volleyer versus baseliner. The governing body allowed the art of serve volley to die. I fear the same for the Island nations of Tonga, Samoa and Fiji. We must not allow these great rugby nations to wither and fall away. They bring so much to the world of rugby and we must do everything we can to nurture and protect these nations. The Samoan rugby federation has huge financial issues and funds are at a premium. The English RFU has agreed to provide a percentage of their gate receipt to assist Samoan rugby, and while this is a truly generous gesture we will need more ideas to ensure the sustainability of rugby in Samoa. 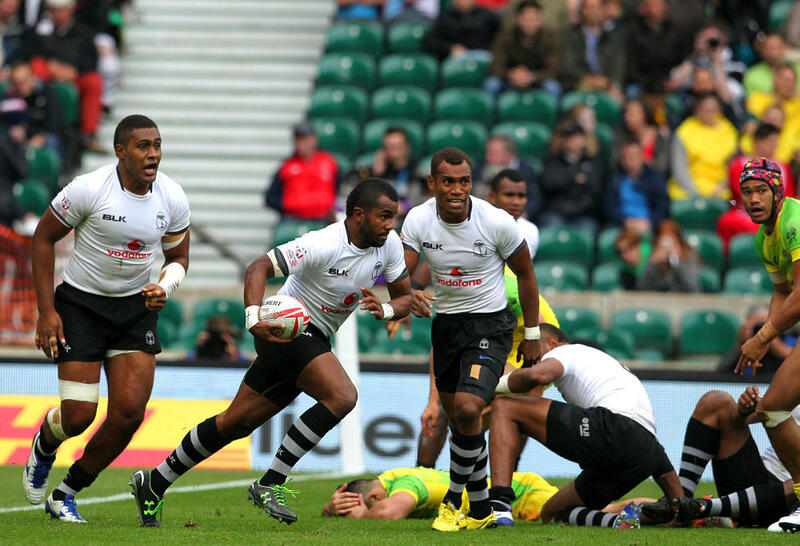 Fiji is potentially next but perhaps its success in the sevens domain helps insulate them a bit more than other countries. Rugby governance is certainly not my strong-suit and I will more wiser heads to discuss that. I was driven to write this after watching the Scotland-Samoa game and even more so by the Ireland-Fiji game from last weekend. What a sight to behold. The contrast between Ireland and Fiji could not be greater. Joe Schmidt’s side are the epitome of structure, gaining territory through excellent tactical kicking and pinning Fiji down in the back half. Their play off set pieces was excellent and their defence well drilled, advancing as a unit with tremendous line speed. But for all of Ireland’s structural qualities, they lack x-factor. This is in direct contrast to Fiji who have x-factor in spades but could with more playing time together would have a chance to develop the structural foundations that could catapult them into the Tier 1 bracket of rugby nations. If you could combine Ireland’s structures with Fiji’s x-factor and counter attacking skill, it would be quite something – but alas we can only dream. One of the first things I noticed was the quality of passing and offloading by the Fijians. When in space, they were able to throw long laser like passes to the advantage of their receiving teammates. The receiver never had to break stride and it was always a nice catchable height. The willingness and ability to offload has long been a strength. Time and time again under the face of extreme pressure from a rapidly advancing defender, a Fijian player was able to use quick hands to move the ball along and maintain the movement. Perhaps we take these things for granted but the consistency and quality of their short and long passing gave Ireland problems all night. Their intuitive skill when in open space was also a sight to behold. Both wingers showed an ability to quickly put the ball on the boot and then chase to either regather or place the Irish defence under pressure. The ability to do this under pressure while hugging the sideline was first rate. But for all their strength on the counter and open running play, Fiji showed a certain unexpected stability in the set pieces. The scrum was solid all night and was an even match for an Irish pack admittedly missing their frontline stars. They kept things simple in the lineout, mostly throwing short and high with the odd gutsy deep throw (there was even one throw beyond the lineout when deep in their own 22). The Fijian mentality to constantly run the ball has its drawbacks and they were caught running the ball from deep and it was perhaps only good fortune that they did not concede more penalties or turnovers from these misadventures. As Kurtley Beale’s error against England at Twickenham showed, sometimes you have to play the percentages – if you are isolated and receive the ball in your 22 then take the safe option and punt it as long as you can or put the ball into the 10th row and live to fight another day. 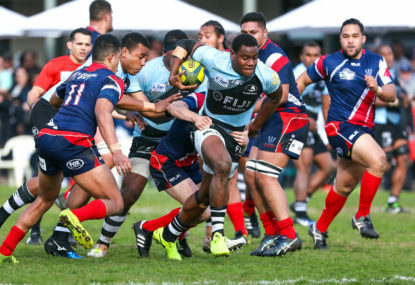 But as the game wore on, the Fijians learned from the mistakes and they played the percentages both when exit kicking and also minimising the glory offloads and taking the ball into contact instead. 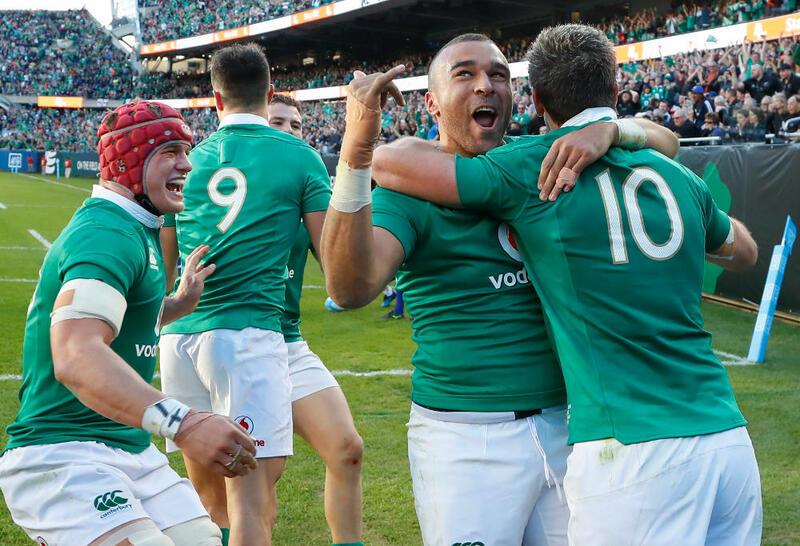 Watching Ireland and Fiji play was to see two contrasting styles – ala the old days of the a disciplined Andre Agassi playing a fearless serve and volleying Pat Rafter. Ireland-Fiji was just a truly enjoyable match to watch and reminded me of why they say rugby is the game they play in heaven. We must not let the Island nations flounder and world rugby must find a way to create a sustainable future for these nations.